Education forms a a very important and major part of the work we do as a national arts development trust. We offer a variety of opportunities, for talented children right up to professional artists, to regularly enhance their skills. 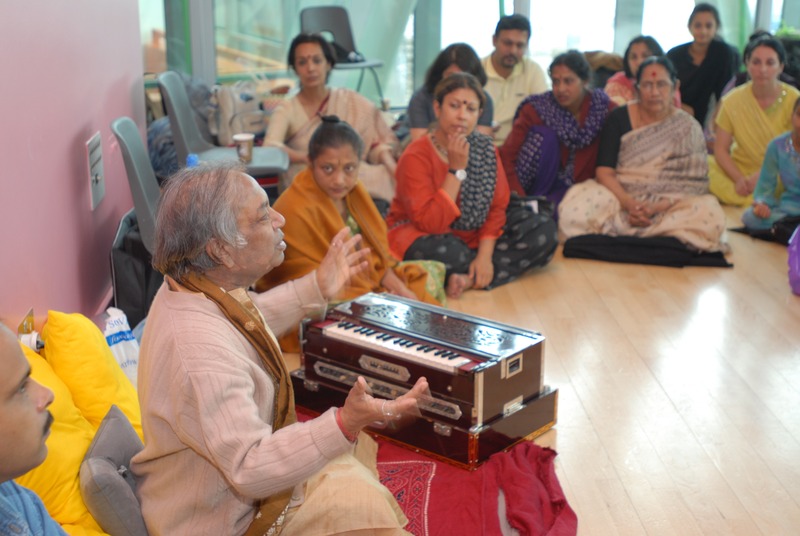 Arts School – At a fundamental level, we offer weekly classes in a range of Indian fine arts at the Liverpool Arts School. The Arts School at Liverpool currently teaches Sitar, Tabla, Vocal Music, Kathak, & Bharatnatyam to around 85 students. This is set to rise as we introduce Yoga and Hindustani Music to the subjects. Through the Arts School we hope to develop a talented new generation of British artists. Music India & Dance India – During the summer, we offer our very popular and eagerly awaited residential Music & Dance Schools – Music India & Dance India. These schools attract students from across the USA, Canada, Europe, South Africa and Hong Kong. Dance India and Music India are specialised opportunities to learn music and dance form distinguished teachers who inspire and take learning to new levels. Samyo & Tarang – two flagship orchestras which provide invaluable year round learning and performance opportunities with outstanding musicians. Master Classes – We offer regular master classes in specialist subjects related to Indian dance or music with a leading artist. These classes are designed for ambitious advanced students, teachers and professionals. Many of these classes are conducted by visiting and touring artists. Outreach workshops – We’re working with schools and community groups across the North West of England to provide a programme of workshops introducing various aspects of Indian art. A new ‘Imagine India’ programme will launch for schools in 2012 – 2013. Fellowships & Awards – We provide one of the strongest programmes of Bursaries, Fellowships and Scholarships to help support artists at all levels to enhance their career pathway development opportunities.